Blah Blah Blah Yackity Smackity: Time is tickin' away, tick tick tickin' away! Time is tickin' away, tick tick tickin' away! As an expert in time travel I found this the opportunity to interject my wisdom. Where and when would I go? Immediately I thought I would love the see the Pyramids being built in Egypt! After a few thoughts latter I decided against this move, as it would be incredibly hot! Also I couldn't help but conjure up thoughts of Stargate the movie. No,...no hot alien occupied land for me. I tend to sweat if it is 20 degrees below. I need to go somewhere, sometime that I would feel comfortable. If it was plausible I might would go to Milliways, but that would be stretching the rules...are there rules? If there are I'm sure they would include not going off world. Going to the future I could meet my distant relatives, who would inevitably only disappoint me by asking that I set up a trust fund for them in the past so they could be rich. I would prefer going to the past. I love the 80's maybe a quick trip down memory lane is what I need. I would not want to see myself for the same reasoning of not seeing the future. I had a mullet....a mullet enuf said. So the 80's Mullet free me it will be. It's all about nostalgia anyways right? Not actual photo of me in the 80's, but close! What do you think of PK Hrezo's cover? Where & when would you book your Time Trip? Did you have a mullet? Bonus points to the one who can name band that the post title comes from! I really didn't want to run into myself either in the past or the future. Talk about uncomfortable. I think my future self would definately tell me all about the time I didn't save for my kids college fund! Aw, the mullet. Yeah, I had one. Although better than saying I had metal band hair. That must've cost a fortune in hairspray. I'd never wanna run into myself--be way too weird, but in the story, there are rules against that. So glad you joined in the fun! I may have to seek your expertise with the sequel! That's a nice cover. I just hope no one steps on any butterflies or mosquitoes or anything when they go back in time. Unless they end up creating the universe where it rains donuts. A necessity in the 80's ! Glam Bands like Poison are what depleted the Ozone! Anthrax ! They did metal rap in 86 as a joke with "I'm The Man", then latter for real with "Bring the Noise"! Original Hipsters! Hi, David. The 80's would be an interesting time to visit. CONGRATS to Pk and her book cover reveal! You are welcomed It has been so much fun! The cover looks great! I don't charge consultant fees, so feel free to ask. I will definitely get a copy when it come out I can't pass a good Time Travel Tale! 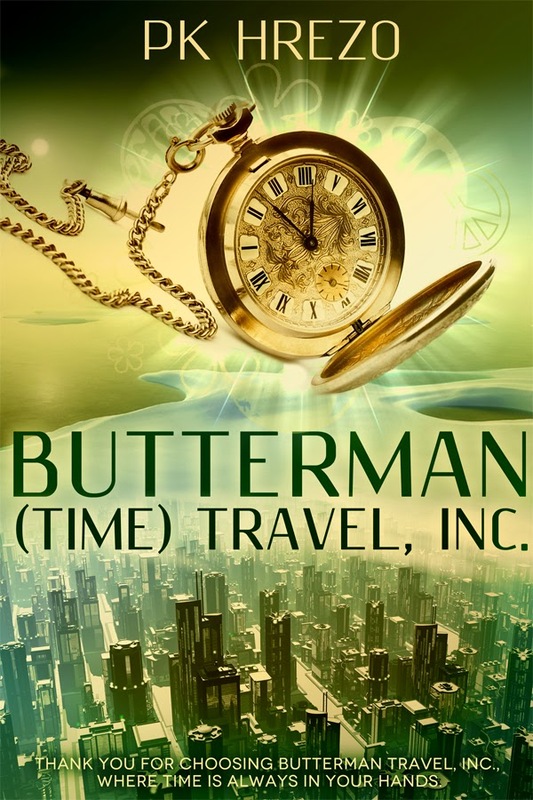 That cover is gorgeous and I love the idea of a family-owned time travel company. Cloudy with a chance of Donuts! Homer Simpson would never get anything done! I might not come back if I go! I just hope that they are not their own grandpa! Farrah did have some awesome hair. Maybe if the Pharaohs would have built a summer house pyramid in a colder climate. Speaking of fashion choices did you ever wear JAMS shorts? Aww, the mullet picture won't show! Bummer :) Choosing one place/time is just impossible! We would have to go in Iron Man suits, or very large plastic bubbles! I'd totally go back to the 80's. I had a mullet for a while, though my hairdresser called it a bi-level cut. I have never heard of it referred to as that. And knowing is half the battle..
To me , the watch is what makes this cover timeless! Why ditch the mullet when you can relive all the glory of it? Haha. Rock that mullet. I am typing from the future, well, your future. Time zones. And PK is all over the place. Travelling from one blog dimension to another. The cover does make me think that time flies. I couldn't see the mullet either, but I've scrolled down and caught the mullet free and JAMS shorts. Love it. I was a teen in the '80s, but sadly lived in a strict religious family and wasn't able to follow every fad and fashion. But I enjoy reliving the past, and perhaps a trip to the era would be fun! YES just like Joe Dirt! Howdy! Penny the Jack Russell dog and modest internet superstar! The future is all relative! LOVED the eighties! I was at the top of my modeling career at the time and had a blast.... NO mullet for me, though. I had the razor-sharp, spiky hair. It was a lethal weapon! lol. My dad had one rule. If I came home with a earring he would rip it out on the spot! Mullets should make a comeback...why not ask Miley Cyrus to bring it back, so she would sing a duet with dad! I had friends that had the spike with the duck tale. They didn't know if they were cute and adorable or lethal! A trip to Milliways is always in order! Seriously that was the first place I thought of! 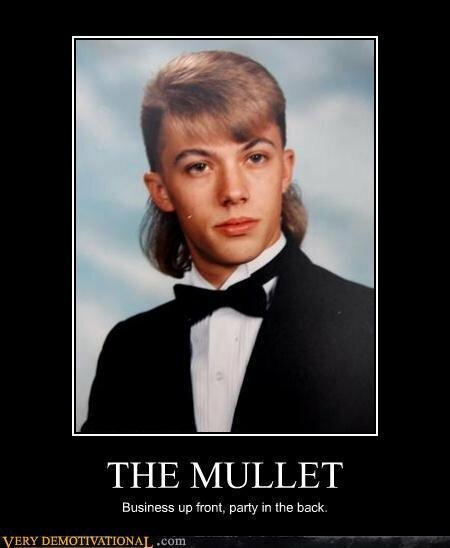 oh my...a good mullet makes the frowns go away for sure!!! Now for me to go do the Electric Boogaloo! Wow, that blurb is fantastic, the cover too. I'm so going to read this book. Plus, I'm a huge Doctor Who fan, so I'm all about time travel. Thanks for sharing and congrats to PK! I think she is going to knock this one out of the park! I'm not sure why the pic seems to come and go? here it is for all that missed it. History is so filled with curious, inviting time periods to visit ... but only if I were wearing a working Iron Man suit. It gets hot in ancient Egypt and those pesky Black Plague germs, too, in the Middle Ages! I have curly/wavy hair, so I didn't have to perm my mullet!